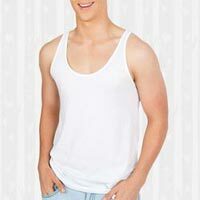 We are a prominent exporter and supplier of Mens Cotton Vests based in Narayanganj, Bangladesh. We guarantee that the vests we offer are 100% cotton and made from good quality material. We offer these vests with and without sleeves. The vests are comfortable and suitable for daily use. We offer competitive prices on bulk orders. We ensure good packaging and timely delivery in good condition.